Sheldon Adelson wants the Las Vegas Review-Journal to be an Israel Hayom. The billionaire changed Israeli politics with a newspaper. Is he having the same luck in Las Vegas? Sheldon Adelson attends a presidential debate on Oct. 19 in Las Vegas. The 83-year-old billionaire and his wife, Miriam, 71, have especially strong opinions about winning when it comes to Israel. Both have deeply felt emotional ties to the country: Adelson often speaks of his father, a struggling Lithuanian Jewish immigrant to the United States, who was a fervent believer in the need for a Jewish state. Arthur Adelson never made it to Israel, so on Sheldon Adelson’s first visit, he wore his late father’s loafers, leaving their prints on the Jewish homeland. Miriam, a physician who takes an active role in the couple’s business and philanthropic pursuits, was born in Israel to a mother who survived the Holocaust. Upon their 1991 marriage, the second for both, their passions for Israel intertwined, and they emerged as an indefatigable power couple, self-styled protectors of the Jewish state armed with Adelson’s casino fortune. Willing to put their money where their beliefs were, they began pouring audacious sums into projects they believed would strengthen Israel. This includes a wide range of causes, from the popular Birthright program—designed to draw young American Jews closer to Israel and their Jewish identity—to building up settlements in the West Bank and East Jerusalem. The Adelsons are among the largest donors in history to the Republican Party, but when it comes to Israel, they are further to the right than most Republicans. They’ve visibly pressured President Donald Trump to make good on his promise to move the U.S. Embassy from Tel Aviv to Jerusalem. More controversially, they oppose a two-state solution to the Israeli-Palestinian conflict, which they consider a security risk tantamount to suicide. As anyone who has seen footage of the quadrennial Republican “Adelson primary” at the Venetian knows, the Adelsons often judge American presidential candidates based on who they think will be best for Israel. In the 2012 American presidential season, they showered money on Newt Gingrich, whose campaign nonetheless floundered. In 2016, they looked for like-minded candidates who they thought had a better chance of winning (including Sens. Marco Rubio and Ted Cruz) and ultimately donated $82.5 million to Republican coffers. In Israel, too, the Adelsons find ways to invest in politicians, and by far their biggest success story to date has been Prime Minister Benjamin Netanyahu, with whom Adelson became close around 1990. The bond strengthened as Netanyahu became Likud leader in 1993 and then served as Israel’s youngest prime minister from 1996 to 1999. When Netanyahu began jockeying for a return to power in 2005, Adelson was there for him. He reportedly thought Netanyahu would be tougher on the Palestinians and less likely to embrace a two-state solution than then–Prime Minister Ehud Olmert. Prevented by Israel’s strict campaign finance laws from donating significant funds to Netanyahu’s campaign, Adelson addressed Netanyahu’s complaint that Israel’s media were mistreating him by launching a new daily newspaper, Israel Hayom, in 2007, says Rafi Mann, previously a senior editor at Maariv and a founding editor of the Israeli media watchdog the Seventh Eye. Ten years ago, on July 30, a small army of men and women wearing red jumpsuits and caps began handing out the free tabloid at coffee shops, gas and bus stations, apartment complexes, supermarkets, hospitals, and campuses. “Free” was not just a come-on. Israel Hayom stayed free, with Adelson reportedly spending $200 million so far to cover its losses—peanuts for a man Forbes estimates is worth $35 billion. Given its price, high-quality production, and well-paid professional staff, Israel Hayom quickly became popular, undermining the economic viability of Israel’s other dailies, which depend on subscription, newsstand, and advertising revenue to survive. Today, 40 percent of Israel’s newspaper readers, about 340,000 people, read Israel Hayom. It has 5 percent more readers than the once dominant Yediot Aharonot, according to a 2016 Target Group Index survey. Yediot Aharonot’s Friday weekend edition, with 600,000 readers, still has an edge over Israel Hayom’s 550,000. But Adelson delivered a double blow to Yediot Aharonot. Besides taking a hit in subscription revenue, the paper had to cut its ad rates to compete with Israel Hayom’s heavily subsidized ones. The fallout was even worse for two other popular dailies: Maariv is but a shadow of its former self, and the religious Zionist Makor Rishon was purchased by Adelson in 2014. Israeli Prime Minister Benjamin Netanyahu in Paris on July 16. Adelson, who did not respond to an interview request, has been quoted saying that he is proud to provide Israelis with an alternative to a left-leaning press, but over the past decade the newspaper’s pro-Netanyahu message has infuriated Israeli politicians on both the left and the right. “It is important to note that Israel Hayom is not a newspaper that promotes the right-wing ideological agenda, but rather it has served the personal interests of Netanyahu,” says Hebrew University economist Momi Dahan, co-author of an Israel Democracy Institute study on election financing and corruption. “Sheldon Adelson has provided unlimited resources to Benjamin Netanyahu by financing a newspaper that has been under the direct influence of Benjamin Netanyahu,” a de facto violation of campaign finance laws, he says. Efforts to pass legislation to force Israel Hayom to charge for papers and other measures to curtail its power have failed. The paper was one of the key factors leading Freedom House—the press and democracy monitoring group based in Washington—to downgrade Israel’s freedom of the press ranking from “free” to “partly free” in 2016. These remarks may have been tongue in cheek, but in late 2015, Adelson did, in fact, make a move to become a player in U.S. media. He didn’t launch a new paper, but in a secret deal, he bought the Las Vegas Review-Journal, paying significantly more than it was worth. Las Vegas hasn’t always been Adelson’s primary stomping ground, although it’s where he made his name. He grew up in the rough Boston neighborhood of Dorchester, a poor, scrappy, streetwise kid with a bent for launching businesses and making money. The first of his 50 or so enterprises was selling newspapers, and from there he graduated to vending machines, a chemical spray to defreeze windshields, toiletry kits, and charter tours. He first came to Las Vegas in the 1970s when he amassed a fortune producing COMDEX, a leading computer trade show. 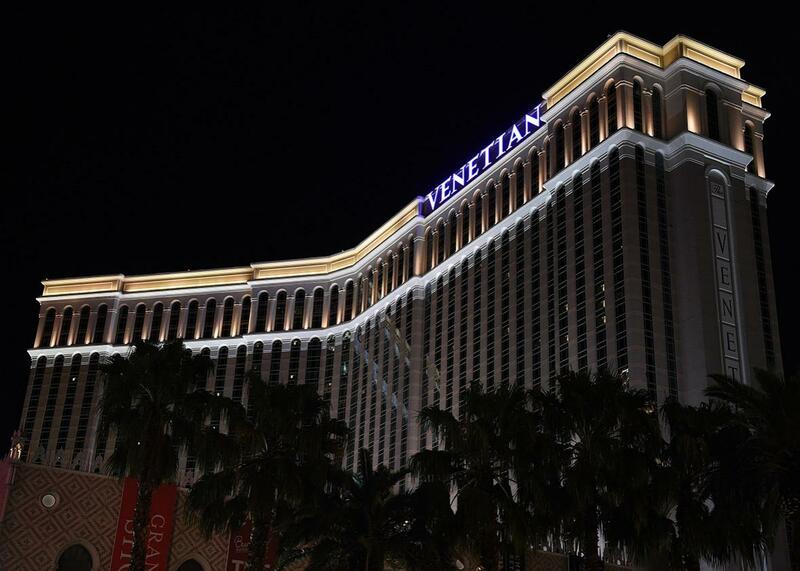 In 1989, when he was in his 50s, he steamrolled his way into the gambling industry with his purchase of the iconic Sands Hotel and Casino and the creation of his Las Vegas Sands Corp. His rise from there is the stuff of Hollywood: He razed the hotel, replacing it with the Venetian—a colossal and colossally successful resort hotel with gondoliers and a casino—and later added a second hotel, the Palazzo. He expanded his empire to Singapore and the unlikely city of Bethlehem, Pennsylvania, and in 2007, the same year he started Israel Hayom, he opened the wildly ambitious $2.4 billion Venetian Macau Resort Hotel in southern China. This is where the Review-Journal story begins to turn into a media industry “who bought it?” Looking back, Mike Hengel, the editor of the Review-Journal at the time, says the first clue was a curious request from GateHouse management in November, eight months after the sale. He was asked to look into a district court judge in Clark County, where Las Vegas is located. He wondered why GateHouse cared about a local judge but assigned three reporters to the task. The judge, Elizabeth Gonzalez, was hearing a contentious wrongful termination suit against Adelson and the Sands that had been filed by the company’s former chief executive in Macau, Steven C. Jacobs. Jacobs claimed that he had been fired for refusing to carry out illegal orders from Adelson, including making payments that might have violated the Foreign Corrupt Practices Act. The case had led the Securities and Exchange Commission to open a separate investigation into the Sands and had turned into a test of wills between Adelson and Judge Gonzalez. She had fined him $250,000 for withholding documents and admonished him for arguing with her. Adelson had appealed unsuccessfully to the Nevada Supreme Court to take Gonzalez off the case. It took only a few days to find out that, for the first time in the newspaper’s modern history, the new owner was not only local, but a casino owner. Schroeder was a front for Adelson, who had paid $140 million for the paper as well as two Nevada community weeklies, a business weekly, a Spanish language newspaper, and some local magazines—$37.5 million more than GateHouse had paid for the entire Stephens chain of papers a few months earlier. Patrick Dumont, who is married to Miriam Adelson’s daughter and is a senior officer of the Sands, had orchestrated the deal. On Dec. 16, the Review-Journal broke the story of its new buyer. A day or two later, Mike Hengel received an email with a statement from the new owners that he was accepting a severance package. The next day Hengel read about his resignation in the paper he edited. Soon, more details emerged. Adelson had sought to buy the paper directly from Stephens Media, but Stephens had preferred to sell it to GateHouse. Not to be outdone, Adelson’s representatives had turned to GateHouse and had been secretly negotiating to buy the paper for six to eight months. By September, those talks had advanced enough for the Adelsons to form News + Media. By November, the prospective buyer had felt confident enough to request the investigation into Judge Gonzalez, which Wright says was an effort to discredit the judge so that she would be removed from Jacobs’ suit against Sands. A few particularly bizarre wrinkles came to light as well. News + Media manager Michael Schroeder (who lasted only a few weeks at the Review-Journal) had written an article criticizing Judge Gonzalez under a pseudonym in one of his Connecticut newspapers, which was published a few weeks before the paper was sold to Adelson. And under the terms of the sale agreement, GateHouse had promised never to reveal that Adelson was the buyer. Moon removed the “About Our Owners” box and gradually began to exert stricter control over the Review-Journal’s editorial content, says Wright, who stayed on for six months after the sale. “Some of Adelson’s machinations were fairly predictable,” Wright adds. There were what he calls “glowing stories” about new restaurants at Adelson’s properties, “lapdog coverage” of federal investigations of his business practices, a “sudden elevation” of reporting on the basketball team at a school supported by the Adelsons, and “hyper-coverage” of the opening of the Sands’ new Macau property, which included flying staff to China. On orders from above, Wright continues, the paper also provided what he calls “boosterish” coverage of Adelson’s efforts to move the Oakland Raiders to Las Vegas. “It’s not like paper owners haven’t done things like this in the past, but with Adelson, it’s on steroids,” says Wright. The greatest tension between the reporting staff and management stemmed from the lawsuit being heard in Judge Gonzalez’s courtroom. On one occasion, Wright says, management demanded that 12 points from a motion prepared by Adelson’s attorneys, summarizing what they considered to be Judge Gonzalez’s sins, be printed verbatim on Page 1. The order to publish this story did not come directly from Adelson but through the chain of managers, says Wright. Adelson, he adds, is “probably the state’s biggest power broker,” and with the paper he wields more clout than the owners of rival casino companies such as MGM International, Caesars Entertainment, and Boyd Gaming. 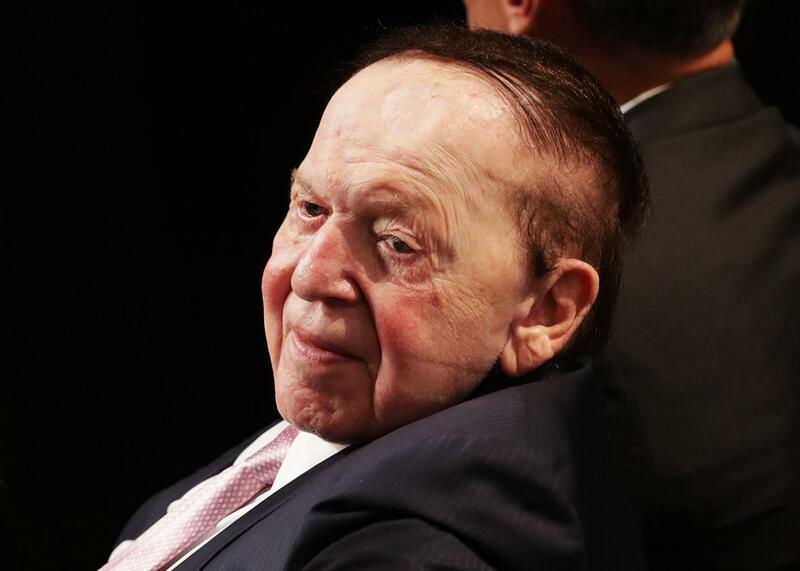 Adelson is also made stronger by his relatively recent alliance with Wynn, another casino owner and a towering figure in the gambling industry who shares Adelson’s political views. These factors have helped Adelson in his push to anoint Nevada’s Republican Attorney General Adam Laxalt as the state’s next governor. Laxalt has received significant political contributions from the Adelsons, according to the Nevada Independent, an independent news site edited by longtime Nevada reporter and politics watcher Jon Ralston. On some issues, the Review-Journal has changed its editorial positions. The newspaper no longer advocates for legalized internet gambling, which Adelson, who could lose millions to online competitors, staunchly opposes. (He has pressed for a ban, both in Nevada, where he is aligned with Laxalt, and on the national level, where the ban has support from Vice President Mike Pence as well as Sens. Rubio and Lindsey Graham, all recipients of Adelson’s largesse.) Another about-face may be more personal. A post-sale editorial called legalizing marijuana “a dangerous proposal for Nevadans,” even though the paper had been an early proponent of decriminalizing narcotics and marijuana. Both Adelson and his wife are ardent foes of legalization initiatives. In a 2008 interview in the Israeli newspaper Haaretz, Miriam Adelson, who specialized in addiction treatment, said both of Adelson’s estranged sons from his first marriage struggled with drug abuse and one of them died of an overdose. What makes Adelson different from other modern-day billionaires who purchase newspapers? After all, there are plenty of them—including Bezos of the Washington Post; Rupert Murdoch of the New York Post and the Wall Street Journal; John Henry of the Boston Globe; Glen Taylor of the Minneapolis Star Tribune; Paul Huntsman of the Salt Lake Tribune; and Philip Anschutz, owner of the Oklahoman in Oklahoma City, the Gazette in Colorado Springs, and the Washington Examiner. 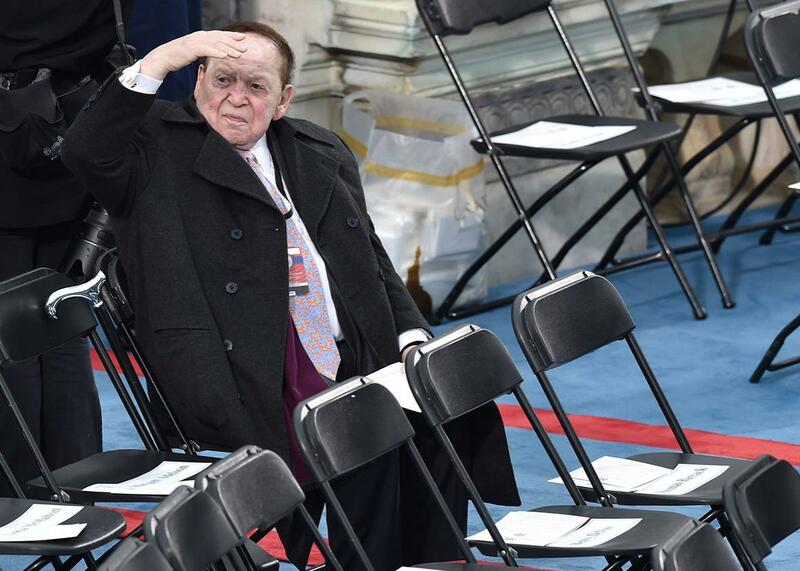 Sheldon Adelson attends Donald Trump’s inauguration at the U.S. Capitol on Jan. 20. Israel Hayom’s—and Adelson’s—biases about Israeli and American leaders and their policies have spilled over into North America, particularly in the Jewish community. In 2011 the paper launched an English-language website. That same year, the Jewish News Service, or JNS, was founded to challenge JTA (formerly the Jewish Telegraphic Agency), which has provided news to American Jewish newspapers for more than a century. Through an exclusive deal with Israel Hayom, JNS widely distributes its translated articles and columns via Jewish newspapers and social media. This content, as well as material produced in the United States, is made available for free or at extremely low rates. Again, it is Adelson who makes this possible: In 2015, the Israeli press reported that he had committed a total of $1.2 million to the U.S.-based nonprofit, making him its largest donor. “I regard Sheldon Adelson as the greatest individual supporter and protector of Israel on the planet,” says JNS publisher Russel Pergament, who once worked with Michael Schroeder, the former manager of the corporation that Adelson used to buy the Review-Journal. 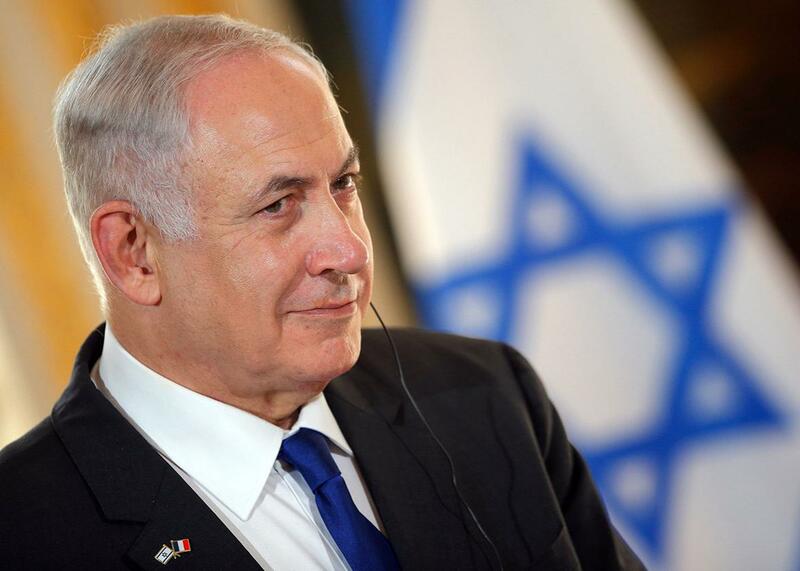 In 2014, Netanyahu, facing a tough re-election campaign, held a series of secret meetings with Yediot Aharonot publisher Arnon Mozes that were recorded by the prime minister’s chief of staff and leaked in January to the public. In the recordings, the two men discuss the proposed law that would require Israel Hayom to charge readers for its papers. Moreover, a desperate-sounding Mozes pleads with Netanyahu to ask Adelson to close down Israel Hayom’s weekend edition; in exchange, Mozes says, Yediot Aharonot would hire journalists of Netanyahu’s choosing. These conversations have led to a criminal investigation into whether Netanyahu overstepped legal boundaries by discussing using his influence with Adelson to weaken Israel Hayom’s stranglehold on Yediot Aharonot. Netanyahu has denied that he broke the law. Or perhaps the problem is that Jewish Home Party leader and Education Minister Naftali Bennett is sidling into Netanyahu’s spot as Adelson’s favorite. Before Trump’s May visit, Bennett demanded that the prime minister publicly reject the two-state solution. Readers of Adelson tea leaves point to signs such as a recent VIP dinner at Ariel University in the West Bank, where Adelson was honored for his $20 million gift to the university’s medical school. Bennett—and not Netanyahu—sat next to Adelson. Noted, also, is the sudden favorable coverage of Bennett and other Israeli leaders, such as Defense Minister Avigdor Lieberman, that has begun appearing on the pages of Israel Hayom. “The dosage has changed: from a free paper that personally worships Netanyahu, Bibiton, to something else, maybe Beneton, even Lieberton,” says Mann. Avner Hofstein—whose 2011 reporting on Adelson on Israel’s Channel 10 led to a public dispute, a highly dramatic apology from the channel on live TV, and several editors’ and reporters’ resignations—says that he thinks Adelson might support Bennett if and when the politician becomes a serious contender for prime minister. But Tausig warns that talk that Adelson may ditch Netanyahu for Bennett could be spin and suggests that even if Adelson and Netanyahu are no longer friends, they will continue to work together. “If I were a gambler, I’d put my money on that Adelson and Bibi are business as usual,” he says. This article originally appeared in Moment magazine’s July/August issue. Moment magazine is an independent bimonthly of politics, culture, and religion, co-founded by Nobel Prize laureate Elie Wiesel. For more go to momentmag.com.